Back on Market! NO fault of seller!! 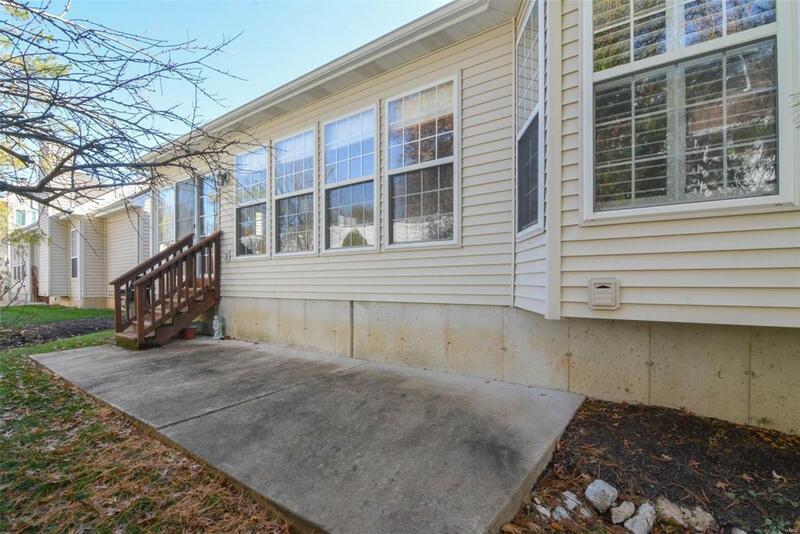 Classy 1.5 story in the heart of Chesterfield! Single family home w/a Detached Villa lifestyle! Cul-de-sac lot, soaring cathedral ceilings, LOADS of light. MAIN FLOOR MASTER has a grand vaulted ceiling, bay window w/plantation shutters, and bathroom ensuite w/dbl vanity & ceramic tile. 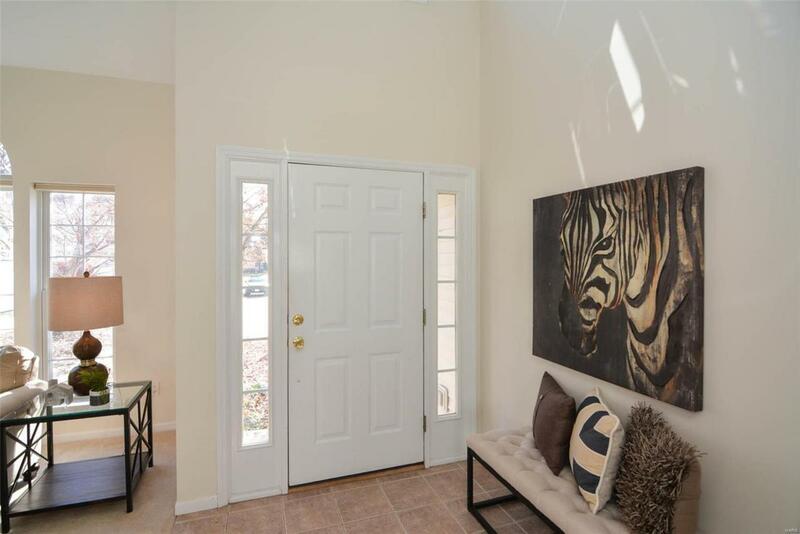 2-story foyer welcomes you to the spacious area that could be a combo living/dining room. The cheery kitchen shines w/white cabinets and brand new electric range, a peninsula island bar that overlooks breakfast rm w/new chandelier and slider access to private patio. Family room boasts a 3rd main floor vaulted ceiling, handsome built-ins flanking the cozy ventless gas fireplace, and wonderful wall of windows. Upstairs offers 2 spacious bedrooms, full bath, a possible desk nook & overlook to foyer, plus a convenient laundry chute to MF laundry. 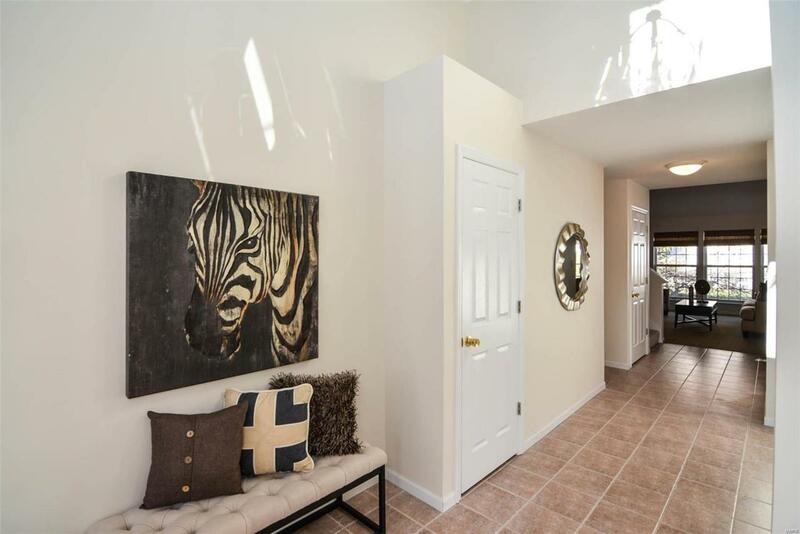 LL has a full bath, 9' ceiling and awesome open rec area. 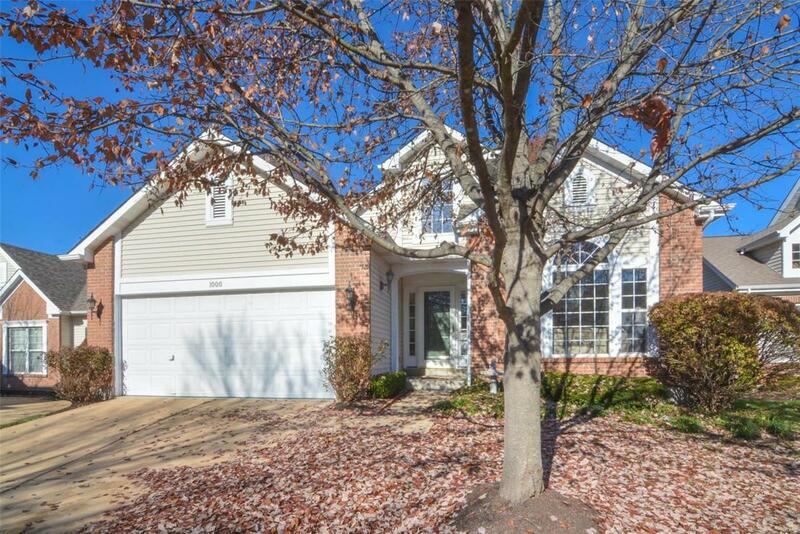 Prime location & Parkway Central schools! Cross Street Address Cambridge Cove Dr.